David A. Diabo is a from Kahanwake; a community seven miles southwest of Montreal, it is one of three Mohawk sister communities in Quebec. Before entering the Emergency Management field, Mr. Diabo has had many iterations in his career spanning 35 years; once a residential construction carpenter, a high steel ironworker, he became a specialist and instructor in First Nations Occupational Health and Safety (OHS), in which he holds an Honours Certificate in OHS from Algonquin College in Ottawa, ON, a national OHS construction safety designation, and both provincial and American designations. He is the only Indigenous person licenced by a province to teach their Construction Safety Course, and is working on attaining the Canadian Registered Safety Professional, the highest Safety designations in Canada, which will make him the only Indigenous person in Canada to have risen to this level. 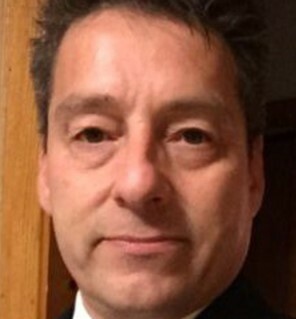 It was this background in OHS that led him to the Emergency Management field, and moving to Ottawa to work at the Assembly of First Nations as their Special Advisor in Emergency Management, he returned to school at Cape Breton University to become one of only two Indigenous people in Canada to hold a degree in Emergency Management, and is close to being the first Indigenous person in Canada to attain the Certified Emergency Manager designation from the International Association of Emergency Managers. As an Interchange employee to INAC, he is currently the Non-Structural Mitigation and Emergency Preparedness Proposals Funding Manager, and it is through this position that he can reach farther and have more impact with First Nations communities in an effort to help them develop their emergency Management regimes through initiatives such as the Preparing Our Home project. Darlene was born and raised on the Siksika Nation; she is the oldest of 10 children. 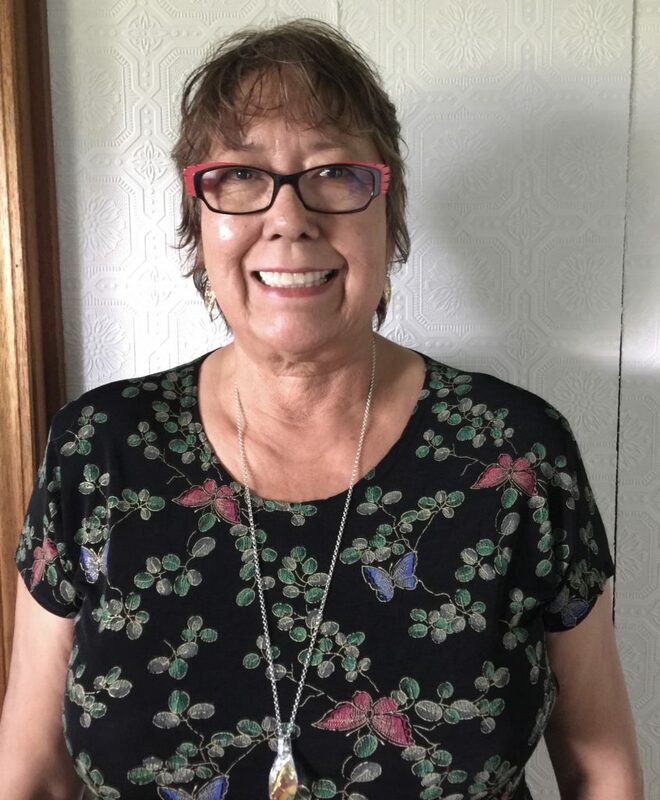 She has spent most of her adult life at Siksika employed by Medical Services Branch, Health Canada in various roles: from 1972-74 as a clerk-typist at the Blackfoot Health Center; 1975-78 as a community Health Representative; 1981 received Nursing Diploma (R.N. ); 1981-84 employed as a clinic Nurse; 1984-89 employed as a community Health Nurse, 1989-1996 employed as the Treaty 7 Zone Director, Medical Services Branch. Darlene was appointed by the Deputy Minister of Health to serve as a member of the International Tripartite Health Working Group on Aboriginal Health. From 1989-95, Darlene was involved in the University of Calgary, International Center, which provides advice and support to Third World Countries. In August of 1991 Darlene traveled to Israel to participate in the International Conference on Aboriginal Health Working Group. In November of 1991, Darlene traveled to the Philippines to provide advice, support and meet with various communities in the Philippines. Darlene worked with the University of Calgary, Medical Faculty to increase the awareness of First Nation health issues, until 1998. Darlene was the Chief from 1998-99; employed by First Nations Health Management 2000-2005, was successful in assisting First Nations Health Management to acquire funding for an Aboriginal Healing Program “Sacred Circle Centre” for the City of Calgary Aboriginal population. Darlene continued on her employment journey as a health researcher from 2006-2009. Darlene is now semi-retired, but will have to come out of retirement very soon. She has become very involved in a humanitarian project, which she hopes will benefit Siksika Nation and other First Nation communities in Canada. Darlene came out semi-retirement in 2013 to assist Siksika Nation with the 2013 flood June 2013 commenced as Siksika Flood Site Manager, January 2014 Manager of Dancing Deer Disaster Recovery Program and July 2015 – September 2016. Project Manager for Community Wellness (Psychosocial) Recovery Program. Her role as Manager overlapped in many areas of the 2013 flood response and recovery. Darlene presented at the Disaster Psychosocial Conference in Vancouver March 2016 and Toronto October 2016. Sarah Robinson is a proud citizen of the Fort Nelson First Nation and the Saulteau First Nation in Treaty 8 territory. She lives in the Toquaht Nation’s small community of Macoah with her husband, Carlos, and is a proud step-mother and auntie. Sarah is one of ten members of the Minister’s Advisory Council on Aboriginal Women, which advises government on improving Indigenous women’s quality of life. 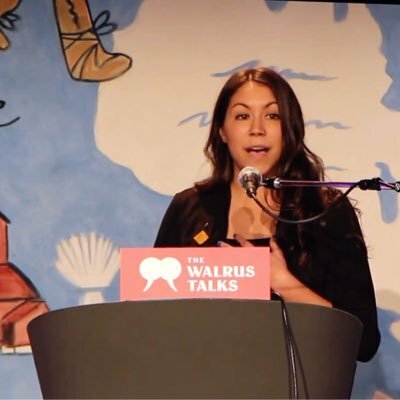 In March, 2017, she spoke about “Indigenous Women and the Story of Canada’ at the #WalrusTalks National Tour kick-off event in Whitehorse, Yukon. As Principal at Rainwatch Consulting, Sarah provides support to various First Nations and organizations across Canada. She is an Action Canada Fellow. Find her on Twitter @sarahc_robinson.